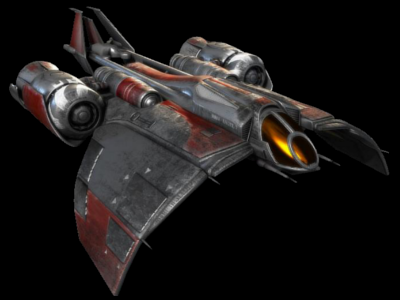 The Cloakshape/H is a popular fighter throughout the galaxy because of it being Hyperdrive capable compared to the original Cloakshape design. Cloakshapes used to be restricted to just one sector, but the Cloakshape/H can go all around the Galaxy. Though not as heavily armed as its predecessor, it still packs a punch with its heavy lasers. Some believe the reason of less weapons is to make room for the Hyperdrive. It is easy to modify the fighter and upgrade its engine, shields and weapons. The most common modification to date is the maneuvering fin at the tail which helps handling the ship better in atmosphere. In fact, it's so common, people often think it's part of the original design. 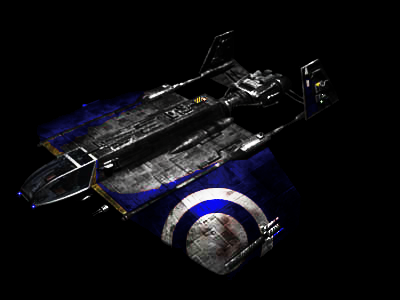 Since the Cloakshape/H can only hold 1 passenger, it is basically used as a cheap, Hyperdrive capable, personal transport, and is often used for small courier missions. Though not very popular with factions it still finds its way throughout the galaxy. 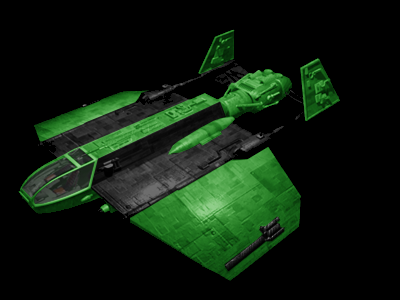 It can be used to help in reconnaissance and patrolling a system. It is also sometimes used by smaller freelance groups to protect unarmed spaceships. 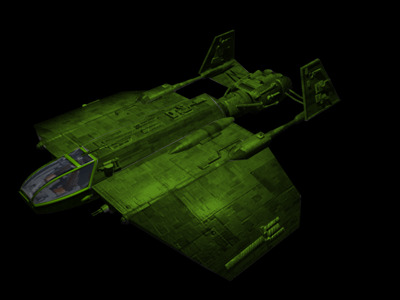 Should the main transport come under attack, the Cloakshape/H can distract the attacking force long enough for the transport to make it to its destination safely.